This highly acclaimed classic blends vibrant animation and breathtaking action to tell the story of two best friends who didn't know they were supposed to be enemies. 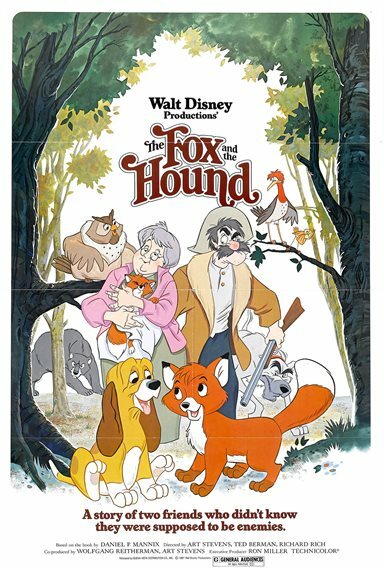 The fun and adventure begin when a lonely widow adopts an orphaned fox cub named Tod. 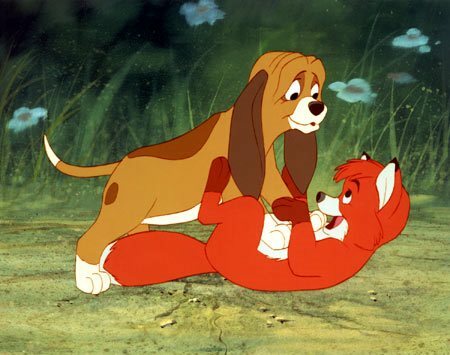 The mischievous fox soon meets up with Copper, an adorable hound puppy. 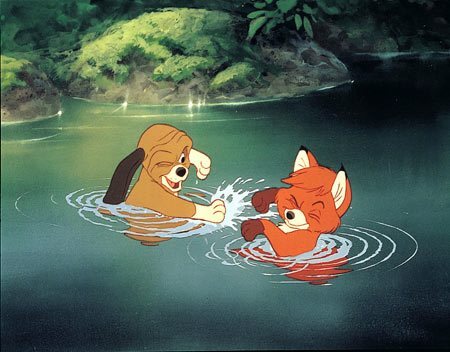 As the innocent pair grow up together, they become inseparable friends. But the day soon arrives when their friendship is put to the ultimate test. 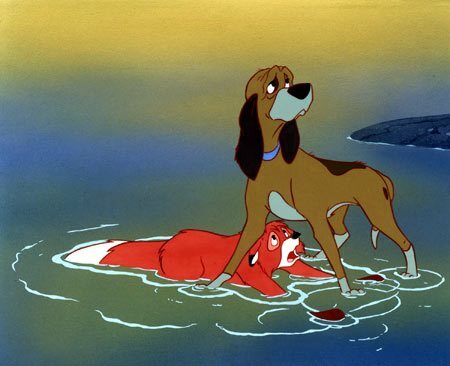 With timeless values such as love, courage and respect for life, The Fox And The Hound has captured an honored place among Disney's most beloved and endearing animated classics. 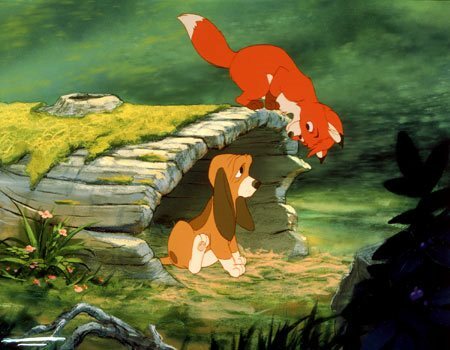 Download The Fox and The Hound in Digital HD from the iTunes store. 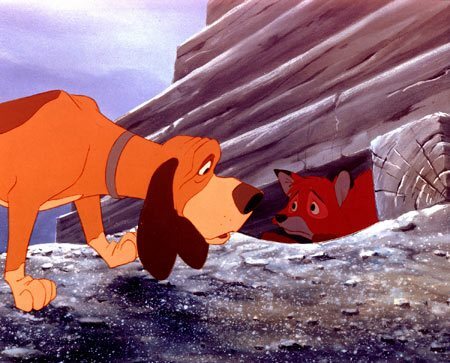 The Fox and The Hound images are © Walt Disney Pictures. All Rights Reserved. 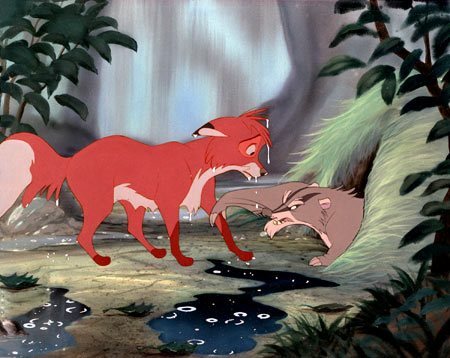 The Fox and The Hound images © Walt Disney Pictures. All Rights Reserved.